Ada pertanyaan untuk Shiva Samui? Dirancang untuk wisata bisnis dan plesiran, Shiva Samui terletak strategis di Hua Thanon, salah satu daerah lokal paling terkenal. Dari sini, para tamu dapat menikmati akses mudah ke semua hal yang dapat ditemukan di sebuah kota yang aktif ini. Dengan lokasinya yang strategis, hotel ini menawarkan akses mudah ke destinasi yang wajib dikunjungi di kota ini. Gunakan kesempatan untuk menikmati pelayanan dan fasilitas yang tidak tertandingi di hotel Samui ini. Para tamu hotel ini dapat menikmati fasilitas di tempat seperti WiFi gratis di semua kamar, layanan taksi, akses mudah untuk kursi roda, check-in/check-out cepat, penyimpanan barang. Sebagai tambahan, semua kamar tamu memiliki sejumlah kenyamanan seperti televisi layar datar, kolam pribadi, akses internet WiFi (gratis), kamar bebas asap rokok, AC untuk menyenangkan semua tamu. Hotel ini menawarkan berbagai pengalaman hiburan unik seperti pantai pribadi, pusat kebugaran, sauna, kolam renang luar ruangan, menyelam. Dengan lokasi dan fasilitas ideal yang setara, Shiva Samui dapat memenuhi berbagai macam hal. The location is too far from the city.. You need a car or motorbike. The room smells like mold (dirty a/c), TV and light balcony doesn't work. In Early morning a gardener used mower machines that made noisy. 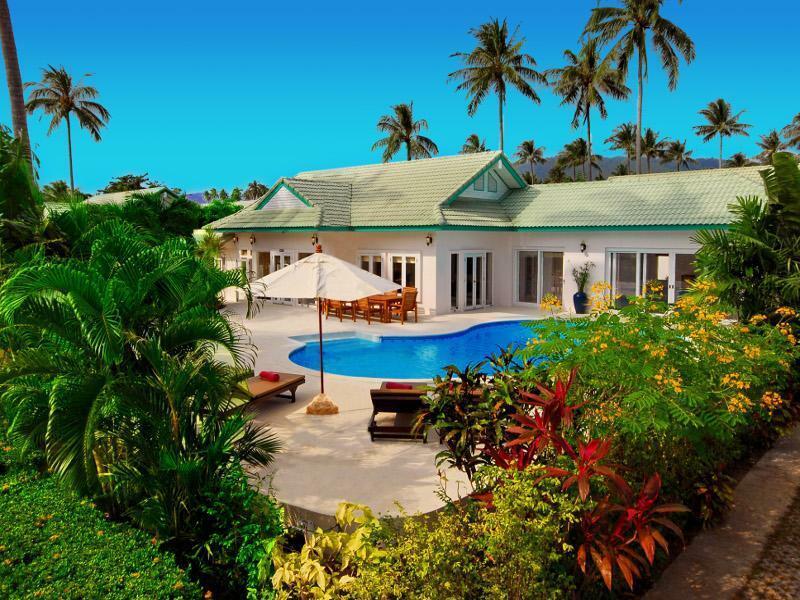 Very spacious and comfortable villa. Very very close to the beach. Staff is warm and helpful. Very good for value. We loved our stay @ Shiva! Staff were very friendly and we were fortunate to get an upgrade to 3 bedroom villa with private pool which made a big difference to our stay. Villa was very private and had everything we needed as a young family, fully equipped kitchen and villa is very spacious. location is a bit far away from other places its best you hire a car or a motorbike like us. If you go to Chaweng expect to pay about 700 baht to get back to resort. Breakfast was a let down, we had buffet breakfast the first morning there but the following days after that it was ala carte service where we order from the menu which was very limited and repetative. Gym facility was old doesn't look like any of the equipment works. We had a good facial and massage at the Spa how ever the atmosphere could have been nicer, it thought the Spa was very run down and old and is right next to a dam that looks very bushy and messy not a good sight esp when you're paying more for a Spa treatment. Really far frm town. But they have timings for shuttle to tesco lamai at 50baht per pax n central festival at 100baht per pax. They drove us by buggy when checking in. There is a restaurant. Breakfast lunch n dinner avail. Swimming pool, party everything is provided. We arrived at Shiva Samui and upon check in they upgraded us to one of the villas with a swimming pool! The villa was so beautiful and only steps away from the beach! 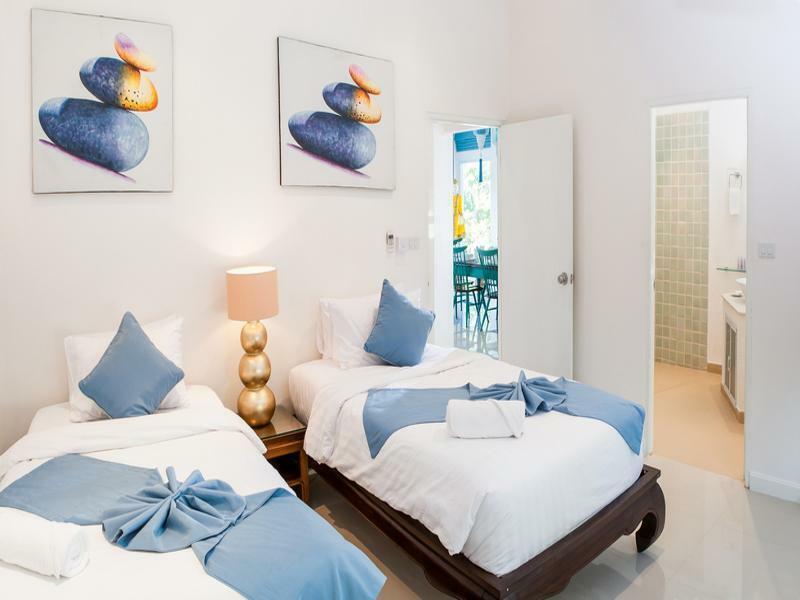 The rooms were really clean and stocked with toiletries:) The staff are extremely friendly and helpful with every need you might have while staying in Koh Samui! They made reservations for us and arranged transport for us as well. 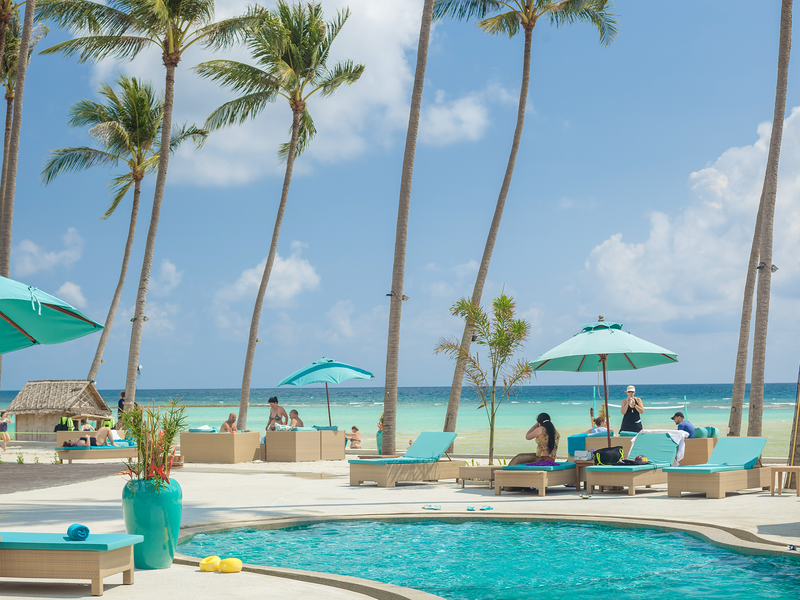 We really enjoyed the extra activities that they offered, which included a beach party at night and a beach BBQ during the day with free henna, dj, nail painting, and more! We really didn’t want to leave the resort because we were so relaxed and having a great time enjoying everything they had to offer. I would highly recommend if you’re looking for a place to stay in Samui to really feel like you’re on an island vacation! It is a bit secluded, which we liked, but it isn’t really around much so you have to take taxis everywhere or rent a car/scooter to get around. Overall, an excellent stay!! Fantastic. Amazing staff. Super friendly. Extremely helpful. Going back ASAP. I knew we couldn’t get much by paying like 6,000 baht something for a 2-bedroom, but still, it’s hospitalizing. We booked this via Agoda as we read lots of good reviews (which we now realizing that all reviews we found were actually in English so maybe this place only welcomes foreigners and do not care about Thais). A week before arriving there, we tried contacted them but could not, only be able to reach them a night before our check-in date as we asked Agoda to help us and to find out that they changed their number and office without updating the information on their website. The check-in time is at 3 p.m., we asked if we could check-in before that as we had our friends’ wedding to attend, and they allowed us to. So thanks for that. When we were checking in, they told us the reception will be closed at 9 p.m. so if there were any emergencies like forgetting the key, we can call them anytime at their emergency’s number. At that night we drove back around midnight when we realized we forgot the key in our friend’s car. So the security guard helped us called someone, what’s surprising is that the woman on the phone told us to go get the key at our friend’s as it’s too complicated and troubled for her to come and give us the spare key. So we had to drive back which take around 30 minutes. Also, there are not much light in the resort area especially on the way to the beach where we were staying. So we found it’s quite dangerous, imagine if you are not driving or have to walk back to your room as all facilities kinda stopped operating at night. Anyway the security guard leaded us back to our room with his motorbike. So 11 points out of 10 for him. Just one thing, the space is quite open with no fences or the security guards around (only one we met at the entrance) so we found it not so safe here. Besides, we booked for a room with a pool as we wanted to use it, but in reality, we found the pool was not so clean so we didn’t use it. We opted for the full board option and really enjoyed our time. We were upgraded to a villa which was lovely. It's a beautiful location and the staff are really wonderful. Everything is however quite far away from each other which is especially a problem in the rain. I must admit I expected more from kids club but I guess I was expecting a 'club Med' type of thing. This was not exactly the place where you could leave your kids and return a bit later especially because it was a fair distance away. The water sports are also limited to high tides and the water is not sufficient for swimming. It is lovely for especially the kids to learn to kayak and SUP. And the pools are lovely. All in all, it was a great holiday though, beautiful views, great service and good food. A luxury holiday! The staff are wonderful, nothing was too hard for them. The spa was well appointed and the restaurant was really good too. Nothing ever to hard. Great beach and location. Very friendly staff. 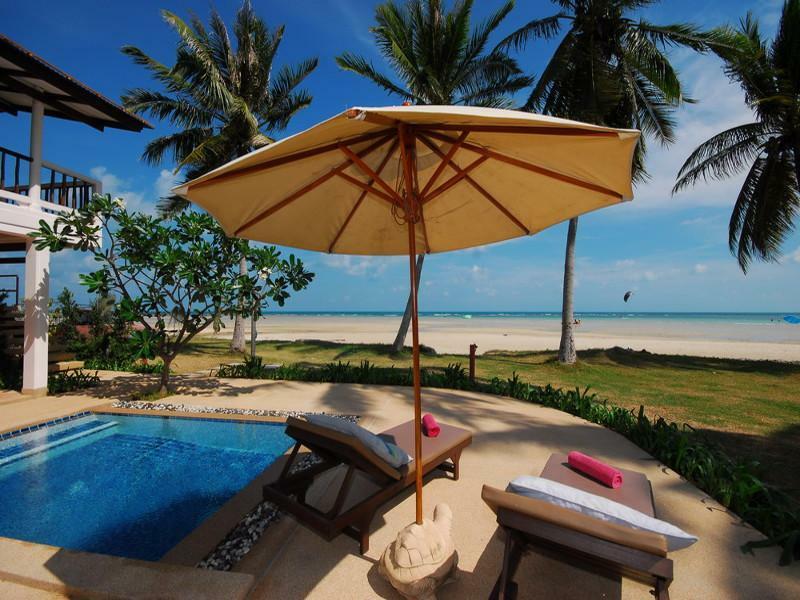 Our stay at the Samui Beach Villas attributed to us having the best holiday. 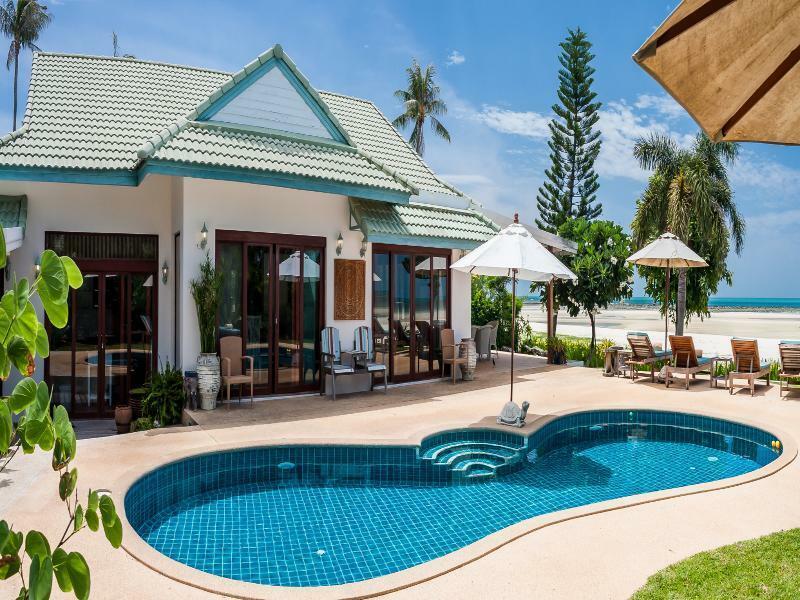 The villas are set in a beautiful environment with fabulaous gardens and the beach is wonderful for children and sun baking. The meals were second to none, and the staff were extremely friendly and helpful. We will be heading back.. 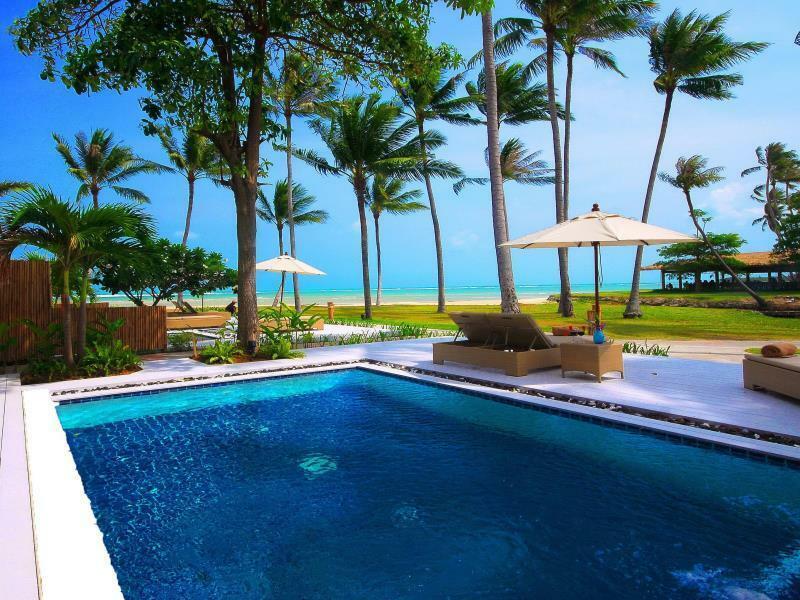 Enjoy the private pools with two rooms type. Every thing is fine and need to rent a car if you intend at this remote place. The staff, the restaurant and the pool villas. Could not fault the stay at this hotel, wanted to stay longer. 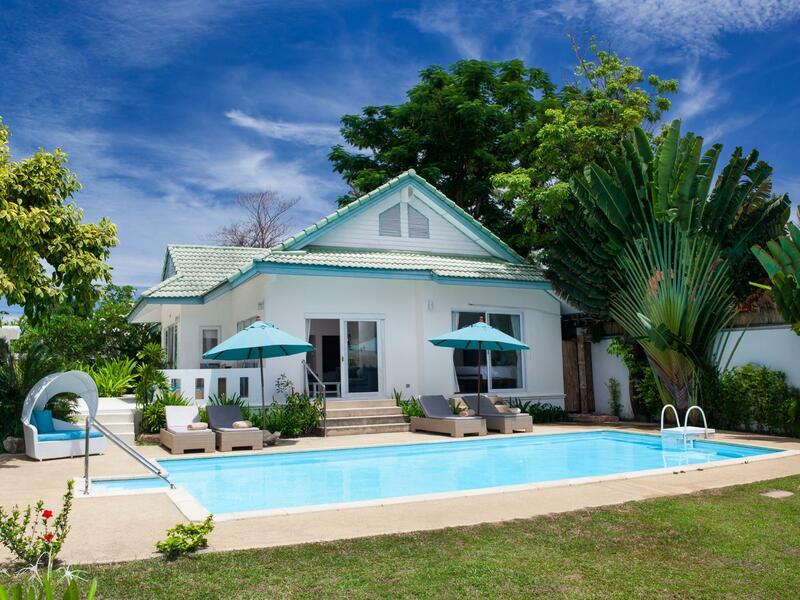 The rooms were lovely condition and the pool villas were a great little spot to sunbathe and relax in the water. The staff were all so genuine and welcoming and this made the stay even more enjoyable. All food in the restaurant was to a great standard.